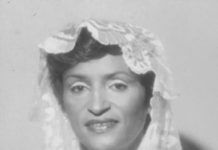 Leila Elodia Williams Carty, also known as "Leila E. Carty" or "Leila Heinz," of Estate Frangipani/Monbijou died on Feb. 26. She was 73 years old. She was preceded in death by her parents: Albert Williams and Olive Martin Brooks. 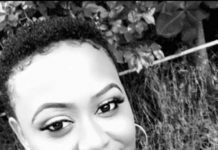 She is survived by her daughters: Lorianna Brodhurst, Justina Encarnacion, Brenda L. Meyers, Myrtle C. Meyers and Helen T. Heinz Batie; sons: Keithroy Williams, Allan C. Heinz Jr. and Michael W. Heinz Sr.; grandchildren: Leila and Romel Armstrong, Orlando and Yukia James, Jamaal Giddings, Arisha Encarnacion, Gage Davis Jr., Curtis, Lasherice, Kevin, Keith Jr. and April Williams, Manuel Antonio Parrilla, Madisa and Turquoise Henry, Darian J. Dowling, Tina Meyers, Glenroy Gittens Jr. Sarah McFarlande, Allan Heinz III, Christopher and Alana Heinz, Sabrina Session Johnson, Richard Jr., Selena Session, and Halle, Michael Jr. and Chyan Heinz; sister, Myrtle Althea Michael; and brother, Orsil Samuel. She is also survived by nieces: Charlene Phipps, Janice, Rena and Tricia Thomas, Beverly Rivera-Walters, Marsha Rivera-Gordon, Maritza Rivera-Prentice, Indera Rivera-Edwards, Judy Rivera-Gerard, Sheryl Muckle-Williams, Gloria Lawrence-Mulrain, Cecilia Floris, Valerie and Lenore Lawrence, Monica and Venaida Williams, Esther Williams, Evette Michael-Rolack, Marvelle Michael-Carpenter, Michelle and Melissa Michael, Dawn Samuel, Kera and Kandiss Samuel, Anna and Ella-Mae Petersen; and nephews: Clinton Phipps Jr., Clayton Phipps, Gary and Egbert Thomas III, Brian Gardine, Melvin Michael, Melville and Alberto Lawrence, Iril Williams Jr., Trent Williams, Clayton Williams Jr., Emmette, Dwayne and Rodd Samuel, and Julio Petersen. 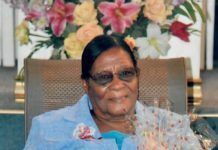 Other survivors include daughters-in-law: Gladys Heinz, Shanta Heinz and Miriam Williams; son-in-law, James Batie; sister-in-law, Elaine Samuel; godchild, Deon Charles; special friends: attorney Shelby King-Gaddy, Clarence Boyd, Darwin Dowling, Winsbut McFarlande Sr., Afrilasia Joseph-Phipps, Richard Session Sr., Anna, Ella-Mae and Julio Petersen, Glenwood Henry, Lenington Small, Jean Small, Janet Liburd, Theresa Simon, Laverne Robles, Mildred Sentill, Nalda Georges, Maria Torres-Braun, Evelyn Bascombe, Marva O’neilo and Uralise Eugene; cousins and other relatives: the Romney family, Martin family, Williams family, Skelton family and Cadogans family; as well as other relatives and friends too numerous to mention. The funeral service will take place at 10 a.m. on Friday, March 4, at the Beulah A.M.E Zion Church, Estate Bethlehem. Interment will follow at Kingshill Cemetery.